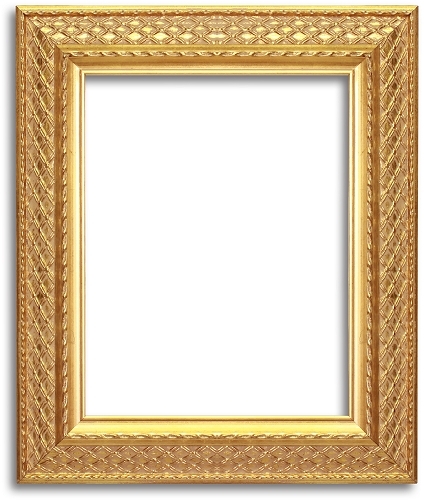 A beautiful frame with gold leaf finish. 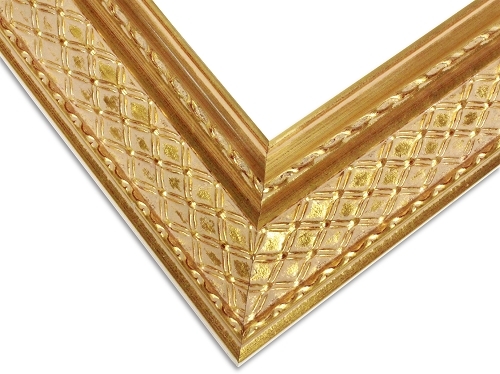 This antique gold Baroque style frame shows an ornamentation of ripple pattern all around the profile. The inner and outer edges of the frame are surrounded by threaded golden beads. To give this art frame a final touch, the middle moudling is carefully carved with net like pattern profile to make it extra suitable for classical painting. 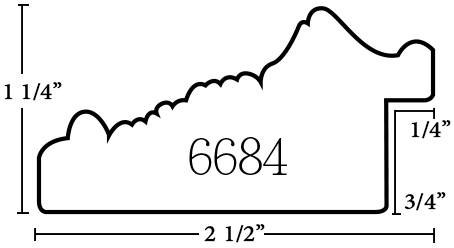 Please use our customize chart on the right side of pictures to choose your preferred sizing.